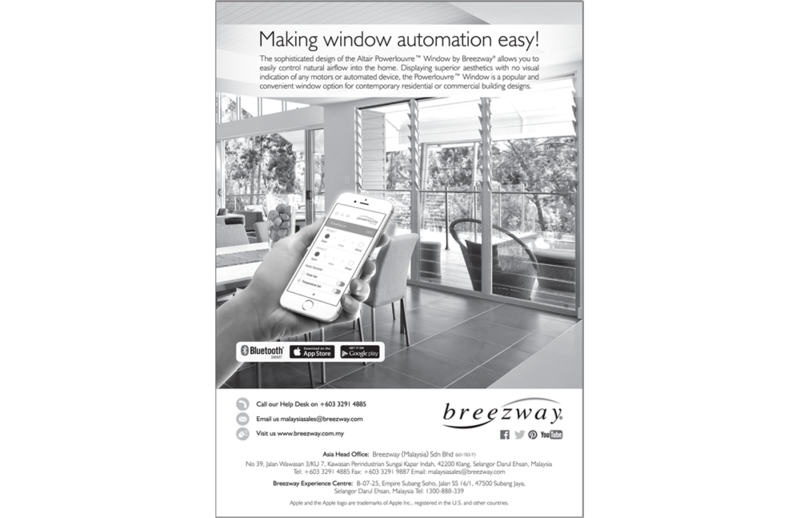 Breezway recently advertised in Malaysia’s latest issue of the Star Newspaper in the ‘Going Green’ supplement which was published on 6th December, 2015. Our advertisement promotes the new sophisticated Powerlouvre Window and Apptivate Control Unit that allows homeowners to easily control natural airflow into their home to keep the room at a comfortable temperature at any time of day. The new Apptivate Control Unit has an in-built temperature and timer sensor and uses Bluetooth technology which enables users to operate Powerlouvre Windows from their smartphones and tablets or by the touch sensitive wall switch. In addition to this, we also received a quarter page editorial that further promotes the sustainability benefits of using Altair Louvre Window products in innovative designs. 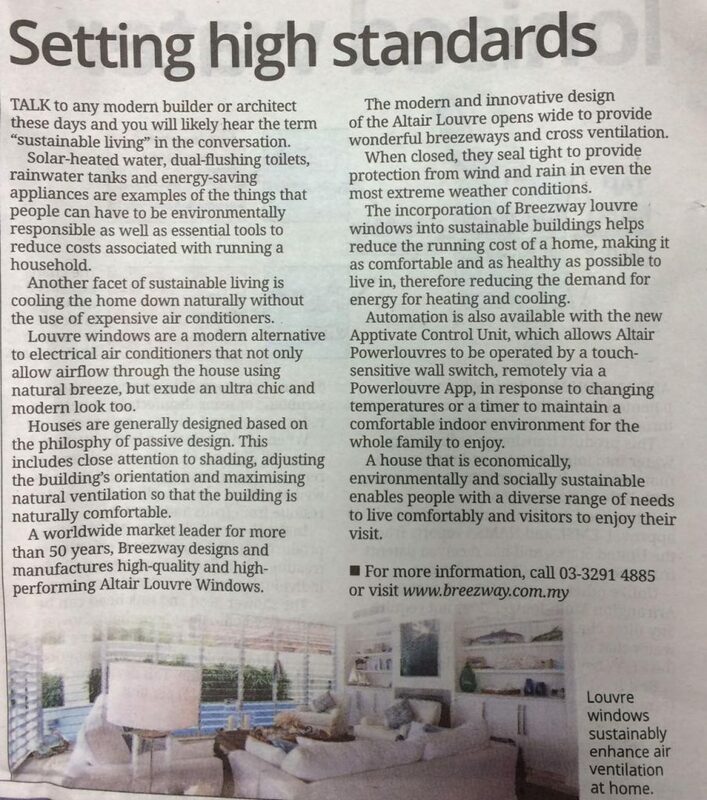 The article focuses on using the ultra-chic and modern Breezway Louvre Windows in an innovative way to enhance air ventilation within the home environment without the need for expensive air conditioners. To read the full article as a PDF please download this here.